MLM Pinterest Training for Home business. Are you using the new social networking site Pinterest for your sponsoring and recruiting in your network marketing home business? How would you do that if you have never used Pinterest before for your home based business? Would 3 little known secrets help you in your mlm efforts? Most distributors and consultants- around 95% or higher, are NOT on Pinterest and most who are have no clue on how to recruit and sponsor using this amazing software. I have done some research on Pinterest and the home business profession and have found that 65% of the people we asked, had never even heard of Pinterest. THAT was shocking. Because unless you are living in a cave, Pinterest is ALL OVER the web and social media sites being talked about. Where ARE YOU with the Power of Pinterest? 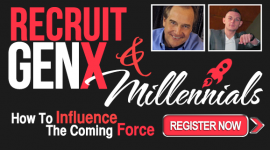 There are three very powerful secrets to recruiting with Pinterest that most miss, and most never have even thought about that are on the social site. if you can connect and embrace these 3 secrets for mlm recruiting, you will find that your home business can accelerate dramatically with the prospects on Pinterest. 1. The Secret of EMOTION. And on and on. The images on Pinterest are EYEBALL PULLING to say the least. THIS can work in your favor!in your niche. If you can search for images on Pinterest and find those images in your niche, and then start commenting on the images with EMOTION as well as put up images yourself that will get folks emotional, you can then connect with them and start a conversation. People on Pinterest are HIGHLY emotional folks, and play into that fact. get them emotional about losing weight, looking younger, staying fit, traveling, or whatever your product is about. Emotion will MOVE THEM….towards wanting to know you. 2. The Secret of Women LOOKING. 80% of Pinterest is women, and most are six figure households. And they are LOOKING at the images and loving the sites. So…what does your product do that will help their family, their life, their physical appearance, their future, their social life, their destiny? If you KNOW women are LOOKING– then get in the way of their eyeballs. Get their attention and give them a reason to pay attention. Do NOT try and sell them- but educate them on one small possibility with an image. Show them an image of what their life COULD be like. Show them an image of what THEY could look like by connecting with you. A Picture they say is worth a thousand words. On Pinterest, it is worth a million. 3. The Secret of VIDEOS. Did you know you can pin videos on Pinterest? And if you have an interesting video with skin tips or weight loss tips, IT WILL BE WATCHED. Just make sure that you keyword the description correctly that will PULL EYEBALLS to look at your video. And give a FREEBIE away at the end and ask them to follow you. These are 3 powerful Pinterest Secrets for recruiting for your mlm network marketing work at home business. MLM Pinterest Recruiting for Home Business. Are you using Pinterest in your home business recruiting efforts? Are you familiar with Pinterest and how it can accelerate your Personal brand Building in your network marketing recruiting? 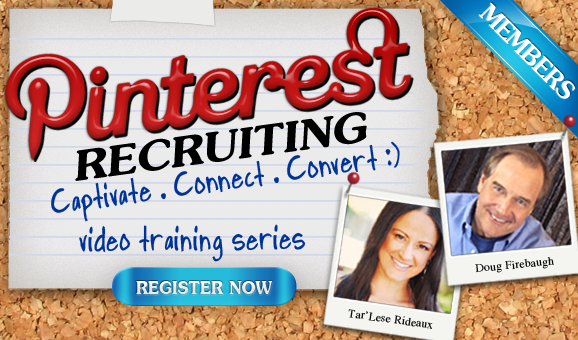 Would you like to learn THE ONE SECRET that Pinterest can be for you in your mlm recruiting? Pinterest is one of the most powerful NEW Social media sites that is taking the social world by storm and this is good news for your home business. Pinterest is taking the business world by storm as well. In network marketing, when you have this kind of amazing growth, you can immediately see the prospecting and recruiting potential for your team building. Using the Pinterest software for your recruiting is easy, if you know HOW. What IF there was a way that you can look at Pinterest and use this for your home business recruiting in a way that will MULTIPLY your success? There is a way and it will help you understand WHY you must get on Pinterest. 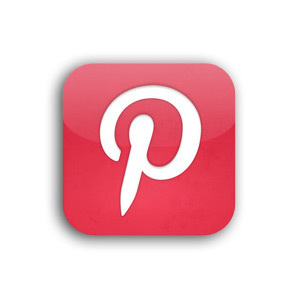 First off, the Images that you “pin” on Pinterest, STAY on the internet and on your boards that you pin to. This makes you have literally an “Evergreen Recruiting Magnet” that will PULL people to look at your images for YEARS if you do this right. And what IF you had a link to your blog or website linked to EVERY image and even other images that you pin to Pinterest? 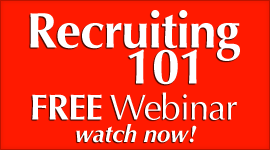 You would have an “Evergreen Recruiting Magnet” that would lead your prospects to YOUR blog and they will see your message that you want them to see. 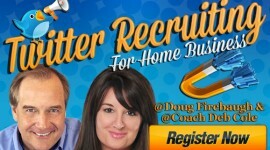 You know that now with Pinterest you can create an Evergreen Recruiting Source that will never go away. You also know that you can link your blog or website to EVERY image and drive traffic to your message. Your “pins” or images that you pin on your boards, are actual “little sales people” or “marketing reps” that are out there 24/7 that are PULLING EYEBALLS to your images, and then creating a curiosity of who you are and there the image leads. These images will actually drive prospects to your webinars and landing pages. And if you think about it, your ‘sales people” are MULTIPLIED every time when someone else “pins” your image to their board. And this will only MULTIPLY the possibility of prospects seeing your image and clicking on it. That is WHY you want to be on Pinterest and recruiting. Pinterest can put your mlm recruiting on SUCCESS STEROIDS! 1. CAPTIVATE the prospect with your powerful image or photo. 2. CONNECT with the prospect via your message and other social sites. 3. 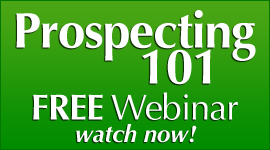 CONVERT into a prospect that wants to look at your business or products. If you do these three things, and MULTIPLY your recruiting with Pinterest, you will see some amazing results in your mlm network marketing recruiting for your home business. MLM Training- The Power of Pinterest Traffic for your Home Business! How would you like to discover the Power of Pinterest for your mlm home business? Would having an understandinf of what kind of traffic you can build with Pinterest be of worth for your network marketing home business? Here is a powerful post by copyblogger on Pinterest Traffic which I DEARLY loved for network marketing and home based business. And I am a big fan of the copyblogger site and newsletter, so I highly recommend that you check it out as I have learned a lot the last 4 years from Brian and his team. You’ve seen tons of articles raving about it. How it’s driving more traffic than anything in the known universe. How you need to be “pinning” and have “pinnable stuff” or you’re going to fail at this magical new social network. How it’s the greatest thing since, well, the last greatest thing. But so is all traffic — unless you do something with it. The problem with most of what’s being written about Pinterest traffic is that it’s pointing out the wrong things. What passes for “reporting” is someone opening Google Analytics, seeing a spike in referrals from Pinterest, and writing an “OMG! Lots of Traffic” post. Very few are taking the time to do any due diligence on the larger picture. Are people clicking through, or is the “traffic” just a remote call to the pinned image? Where are your visitors going? What are they doing? You have to ask real questions, and look for real answers, not patterns based on what others think they’re seeing. And the wonderful thing about running a business online is that almost everything is testable, trackable, and adjustable. What’s really going on with Pinterest traffic? Data doesn’t lie (at least when you’re using it correctly). Understanding your data — traffic, patterns, and conversions — is critical to your content marketing strategy. Especially when it comes to a new traffic source. At Copyblogger Media, much of what we do is guided by data — traffic patterns, market analysis, feedback, customer input, and conversion scenarios. And the increased Pinterest traffic we receive is treated no differently. In the last three months (Jan 1-Mar 28), Pinterest helped traffic grow on each of our sites. For Copyblogger, Pinterest was the #3 referring website, bested only by Facebook and Twitter. Between January 1st and March 5th, when the 15 Grammar Goofs That Make You Look Silly infographic was posted, Pinterest sent close to 15,000 visits. Based on the number of times it was pinned, this told us that fewer than half of the people who pinned the image actually clicked through. In the week following that infographic, Pinterest sent 2.7 times as much traffic as the three months before. 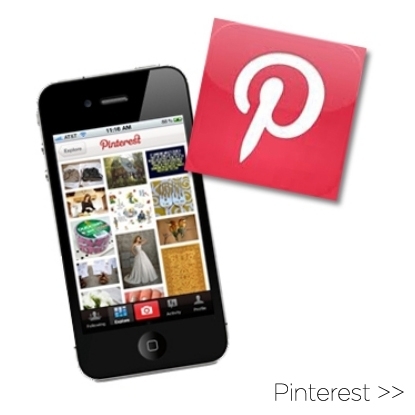 Individual post activity seems to hold a long shelf life when it’s popular on Pinterest. Often, a tweet is lifeless within a day, where a pin can continue pulling traffic for weeks after being published. During this same three-month period, Pinterest was the #29 referring site for StudioPress. While the amount of raw Pinterest traffic — the number of visits — is smaller for StudioPress than for Copyblogger, visitors to StudioPress stay much longer and visit more pages on average. For example, the average visit duration for a Pinterest-referred visitor on Copyblogger is 0:00:32, compared to an average of 0:05:28 on StudioPress. Pinterest visitors check out 1.16 pages on average after clicking through to Copyblogger, compared to 6.34 pages on StudioPress. The bounce rate for Pinterest visitors on Copyblogger averages out to 91.7%, StudioPress is 49.9% on average. This is much higher than our site averages, and higher than most other traffic sources. Infographic pins have exceptionally high bounce rates and very short visits, usually less than a minute. However, other pins (such as the 56 Ways to Market Your Business on Pinterest post) that led to straight copy had much longer visits and lower bounce rates. On that Pinterest marketing post, the majority went on to the main page, followed by the Internet Marketing for Smart People, Genesis, and SEO site quality pages. On days when Pinterest activity was particularly high, traffic increased to each of our product sites from Copyblogger. 89.6% of Pinterest-referred visitors to Copyblogger were new to the site. Only 44.4% of Pinterest referrals on StudioPress brought new visitors. The StudioPress top Pinterest-pulling post included an infographic about How Developers are Driving the Business Adoption of WordPress. The vast majority of other StudioPress popular pins were all themes or showcase websites. These pins, on average, showed very low bounce and exit rates, with most continuing on to the themes page, the showcase, the blog, or the features page. On average, they also showed fewer new visitors, which historically correlates with low bounce rates on our properties. OK, so what does all of this mean for you? You need to have specific goals for using the traffic from Pinterest. Work with the traffic as you would from any source — driving it to landing pages and through a conversion path. For example, we’ve optimized certain pages on Copyblogger to drive visitors to our list and product pages. We’ve found that the traffic from Pinterest can be also driven to those sources, if a clear call to action is present. On StudioPress, optimizing showcase pages to drive traffic to the related themes has shown an increase of on-page time and conversions — especially for repeat visitors. So, even though the traffic from Pinterest for StudioPress was much lower than for Copyblogger, the overall bounce rate was also lower, on-page time was higher, and conversions were better because the path was more predictable. Armed with that data, we can better utilize the traffic on all of our sites through tracking and testing. People who do move around your site upon arrival will likely follow a predictable path (for example: a showcase theme pin leads to a page path that is more likely to start with the themes gallery than the blog). Longer visits on pins that bring repeat traffic is an important metric, since on commerce-driven sites you may need to get someone to your page a few times before they buy. Pinterest doesn’t sell stuff — you do. By funneling the traffic properly, you can convert visitors into customers. Traffic from any source is only worthwhile if you have specific goals for it. You can use Pinterest for customer engagement, personal branding, or as an entry point to your conversion funnel. This is a great post on Pinterest and I found it fascinating. 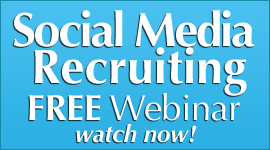 I would encourage you to check out how to recruit on Pinterest with Pinterest Recruiting! This is only one of many posts that will be coming for your Pinterest Recruiting education for your mlm home based business. What is one of the worst things that you can have in social media and a home business? Are you aware that it can destroy your brand and even your business over time in network marketing? What is this devastating poison called that harms your social media home business? Ok- fair enough…but what is that? “OEWA” is when someone is constantly being seen trying to sell or recruit in the social media zone and is NOT bringing any Value to the social conversation and people in social networking circles start getting tired of their selfish messages. Much like with President Bush or President Clinton, and now somewhat with President Obama, the US got TIRED of the nonstop talk, images in the media, and chatter about them and people just wanted these guys to just go away. And true, as always, politics may have played some into it, but even staunch Republicans got tired of Bush and diehard Democrats got tired of Clinton. That what happens as well in sociao media, with an Overexposed message with seemingly No Value. There are some folks that you see everywhere on social media, but people do not ever seem to get tired of them. You read their posts daily, watch their videos constantly, and talk about their current message powerfully. Why in the world does this happen? There are certain social media folks thay bring Extreme Value to everything they say and do and contribute to the social media word. They do it without a selfish motive and YOU CAN FEEL IT, as well as sense it. There are a LOT of social networking folks that bring great VALUE to EVERYTHING they do, and people on facebook, twitter, pinterest, Google+, LinkedIn, and other social sites look forward to hearing from them- again and again and again. And they keep coming back for more! What makes these folks special, is they do not “pitch” you on their products or trainings every time they hold a conversation online, text, broadcast a message or say something in a video. They constantly bring a more powerful conversation into the community with powerful ideas and concepts that ADDS– not tries to take from the whole. Their message in social media BRINGS VALUE– not tries to be SEEN as VALUE. People are savvy enough to tell the difference today in social media. And folks, that ONE THING is the difference between powerful and enduring Successful Social Media professionals- and the ones that are not so successful. It appears that Successful professionals in social media seem to focus more on being Valuable and BRINGING Value to people’s lives daily, – while it comes across that less than successful folks seem to focus more on being Visible. Your ONLY goal in social media as a network marketing professional should be to provide Jaw Dropping Value FIRST and be Visible SECOND! Extreme Value FOR Social media will ALWAYS bring HIGH VISIBILITY IN social media! 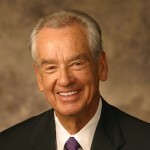 You must understand that there is the critical distinction between people looking Forward to your Message, and people being Tired of your Message. So here is the Million Dollar Question: What can you do to powerfully market your home business message and NOT become a Victim of Overexposure? 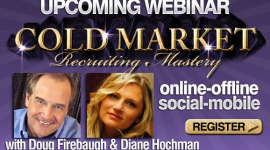 Do NOT make the mistake that a lot of people make…they save their best content for their CDs and webinars. If you want to gain High Visibilty, then give something away that has TRUE VALUE and can be used. 2) Another secret is to Solve problems for people. 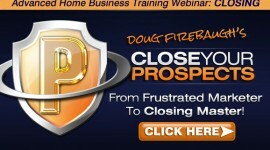 Find out what challenges that your prospects have. Ask them. Give them multiple solutions and ideas and resources that will help solve that problem, and then connect with them in your own webinar. 3) Start to Reveal Little Known and Little Taught Information. What you need to start doing is research and find GREAT information that most people do not know exists and then help them discover it through a free download. That process of helping people and showing them the way is called “Social Media Leadership” –guiding, directing, and leading folks to new possibilities for their life. 4) Become a Powerful Resource…Suggest other people’s webinars, PDFs, ebooks, CDs, blogs, downloads, and content. Why in the world do you think I am always pointing folks to other people’s content on EVERY blog post? ? Social Media Leadership. And it HELPS folks discover new messages, products, content, soultions, ideas and personalities in MLM they did not know exists that has made a HUGE difference in my life. VALUE that Makes a Difference. Are you making this HUGE Mistake in your network marketing home business of Exposure without Value? I would highly suggest that you check your tweets, posts, notes, texts, mobile communicaiton, Direct Messages, IMs, and marketing efforts and BEEF UP the Value in your social media marketing for your netwpork marketing home business. 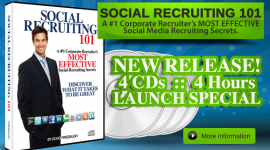 FREE Social Media Recruiting ebook: Social Recruiting Power-over 50 recruiting secrets!